Thomas Manufacturing Caliper by Knott Brake Company. Made in The USA. 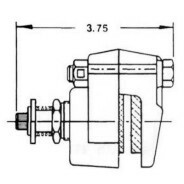 Popular Mechanical Disc Brake Caliper. Ready to Install. Loaded with Pads. Used on Manco Go Karts. 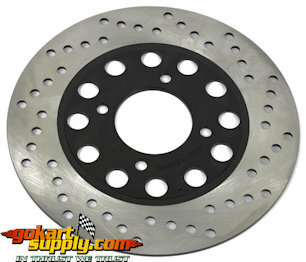 Replaces Carlisle Calipers, Airheart Brand Calipers and others. Use with Mounting Bracket 217937A. Back off the adjusting screw, disconnect the linkage and remove the caliper. Remove the two 3/8"-24 bolts and separate the caliper halves. Remove the actuator side brake pad and the backing plate. Remove the actuator pin, inspect the pin and lever for galling and cracks. Grease the spherical end of the actuator pin, adjusting screw and ramp areas. Replace the pin back into the caliper housing, spherical end first. 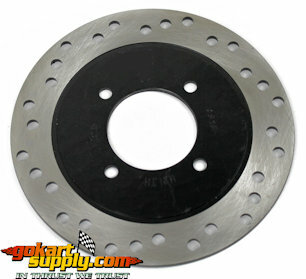 Place the backing plate into housing and place the brake pad on top of the plate. Scrape all the adhesive and lining material from the surface and put a spot of weatherstrip adhesive the size of a dime on the anvil, place into the recess. Be sure the adjuster screw is backed off completely. Reassemble the caliper and torque the bolts to 24 ft pounds. 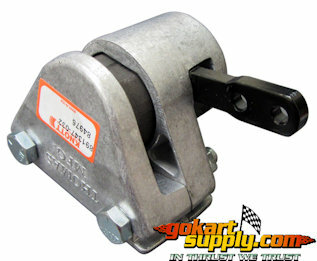 Replace the caliper onto the mount and reconnect the linkage. Turn the adjuster in until it's snug, then back it off 1/2 a turn. Tighten the jam nut. Popular Mechanical Disc Brake Caliper. Ready to Install. Loaded with Pads. Used on Manco Go Karts. 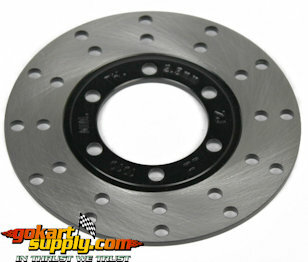 Replaces Manco 9597 & 9598, Carlisle Calipers, Airheart Brand Calipers and many others. Use with Mounting Bracket 217937A. Pads, backing plate, adjuster screw, jam nut & pin. 1-1/2" Wide x 1-1/4" Tall x 3/8" Thick. 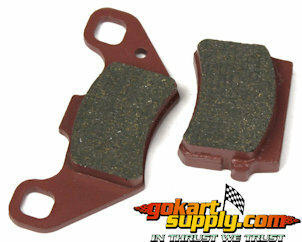 Set of 2 Disc Brake Pads. 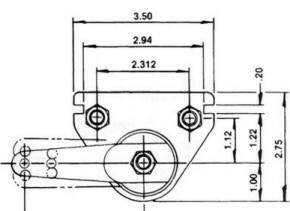 Fits 115613 Chinese Calipers, the 9597 Knott Calipers, Thomas Manufacturing Calipers, Airheart, Carlisle, Manco Calipers, High quality pads made of automotive type friction material. 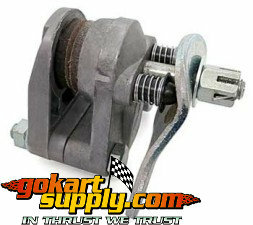 (#9 BRAKE LINING ABOVE) Used on Manco Go Karts for many years. We also have a complete rebuild kit. Disc Brake Pads. Manco Brake Pads. Genuine Comet Caliper with Pads. Used on Murray Go Karts and others. The Comet Mechanical Disc Brake Caliper is constructed of high-strength die cast aluminum and has a rated brake torque of 4800 lbs. with 150 lbs. of lever pull force applied on a 10" diameter disc. The actuator has only one moving part to enable quick and easy adjustment by tightening the adjusting nut externally of the die cast housing. Uses automotive type friction material utilized in each puck. Comet's precise, well-machined disc brake caliper delivers vital performance structured for efficiency and reliability. The Comet Disc Caliper Brake is a direct replacement for comparable brakes of the same size. The caliper has eight (8) different lever positions in either direction. 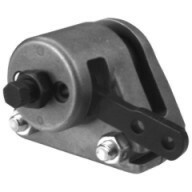 Integrated in the unique actuator design is a positive stop so the Return Spring can be used without causing braking in the opposite direction of pull. The brake also has a very simple means of fine adjustment via the large Hex Adjusting Barrel controlled by a friction procedure that resists turning. 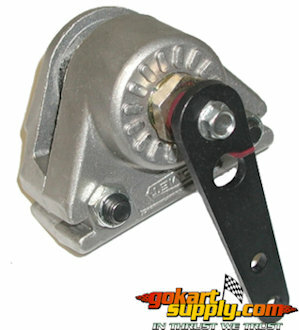 The brake can be floated by using spacers and longer assembly bolts or by using the two convenient slots. 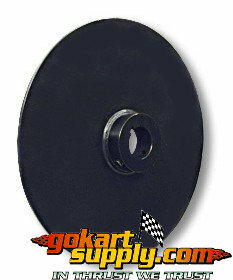 Can be used on RV's, snowmobiles, go karts, mini bikes, garden tractors, ATV's and numerous industrial applications. Genuine Comet Pad Set. Fits Caliper 218070A. 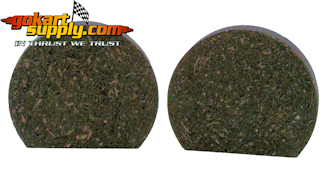 Use on any 1" Round Axle with a 1/4" keyway. 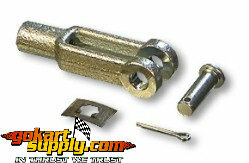 CLEVIS PIN 1/4" x .77"
Fits Model 6150, 7150, 150cc Karts, 200 Series LUTV's. Fits American Sportworks Go Karts & many others. Fits Model 7150 & 200 Series LUTV's. Fits ASW 7150 and 200 Series LUTV's. 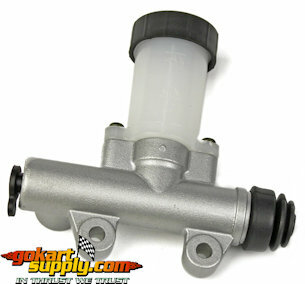 American Sportworks 14744 Brake Master Cylinder. Includes resevior and cap. 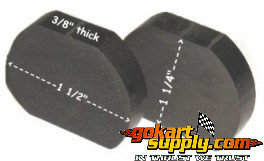 Used on American Sportworks Go Kart Model 3170, 3171 and 4170. 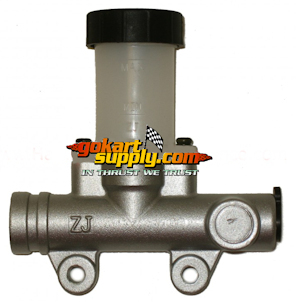 Popular Brake Master Cylinder. 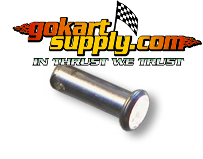 Replaces Part #6.000.305 - Fits Hammerhead Model 80T, TrailMaster Mid XRS & XRX, American Sportworks Go Karts and many others. It has one port for the rear brake caliper. Overall length of the base is 4-1/4", the mounting holes are spaced 1-3/4" center to center. Complete Right Front Brake Caliper loaded with pads. Fits American Sportworks Model 7150L Go Karts, Hammerhead 150 GT/GTS/SS Go Karts, Hammerhead 250 GT & SS Go Karts, TrailMaster 150XRS,150XRX, 300XRX and many others. Replaces Hammerhead 6.000.095. 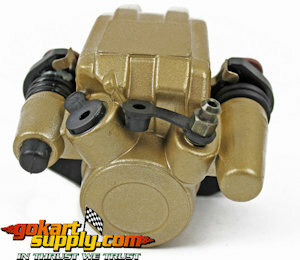 American Sportworks 14658 Hydraulic Brake Caliper loaded with pads. 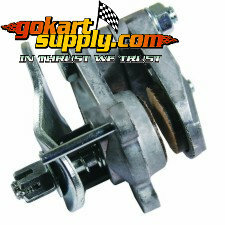 Left Front Brake Caliper for 150cc and 250cc Go Karts. 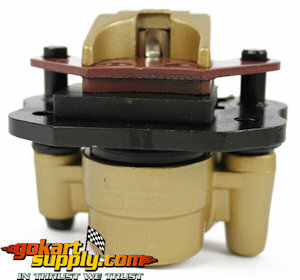 Fits American Sportworks Model 3170, 3171 and 4170. 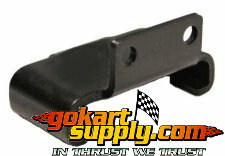 Also fits Hammerhead 80T & MudHead Go Karts and TrailMaster Go Karts. 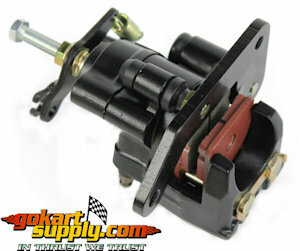 Fits American Sportworks Go Kart Model 3170, 3171, 4170 & 7150, all Hammerhead 150cc, 250cc and 80T Go Karts. Replaces American Sportworks Part #14654 and 14142. 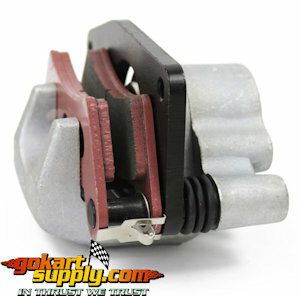 American Sportworks 15076 Hydraulic Brake Caliper. Used on Model 6152 Zircon, 7151 Carbide and the newer style LUTV Model 201/202. Loaded with 15077 Brake Pads. Ready to install. 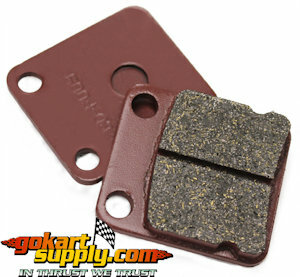 Brake Pad Set for American Sportworks 15076 Hydraulic Brake Caliper. Used on Model 6152 Zircon, 7151 Carbide and the newer style LUTV's Model 201/202. Includes 2 brake pads. Rear Hydraulic Caliper loaded with pads. Fits American Sportworks Model 7150 and 200 Series Light Utility Vehicles. American Sportworks Part #14184. 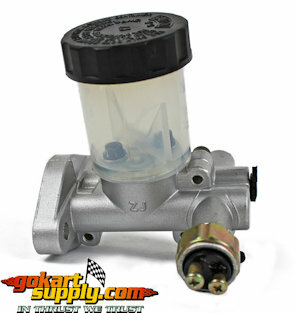 Fits 150cc Hammerhead Go Karts and UTV's, Trailmaster 150. Does NOT work on Hammerhead Model GL150 or Rave 150. 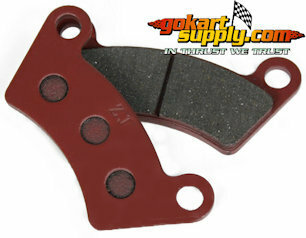 Rear Brake Pads used on most Chinese 150cc and 250cc Go Karts. 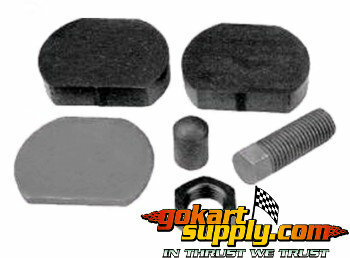 Replaces American Sportworks Disc Brake Pad Set Part #14183 and Hammerhead Part #7.020.022. 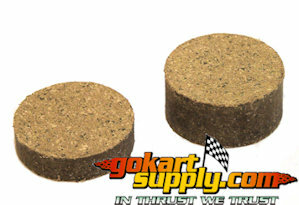 Used on American Sportworks Go Karts, American Sportworks 200 Series UTV's and Hammerhead 80T. 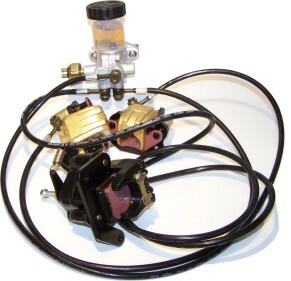 Hydraulic Brake Kit includes dual piston master cylinder, brake hoses, right and left hand front brake cylinders and rear brake cylinder with arm and mount for cable activated parking brake. Loaded with pads. For karts <100 pounds. 1-1/8" x 9/32" and 1-1/8" x 17/32"